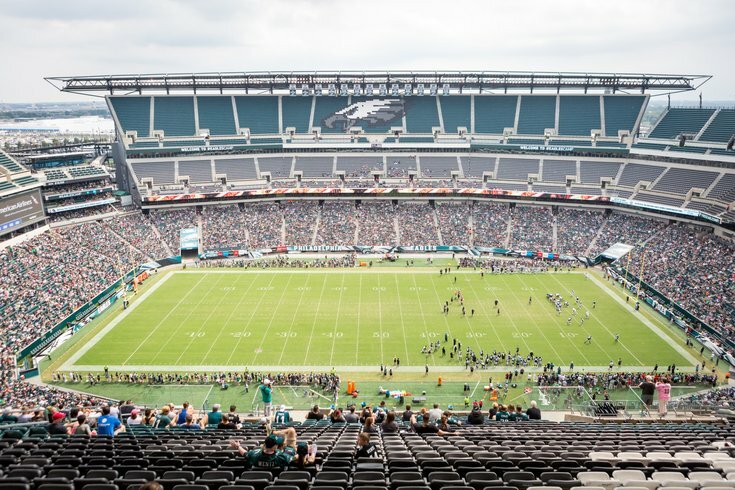 Lincoln Financial Field during the Eagles public practice on August 11. Eagles fans just keep raking in the public transit love. After free rides to the home opener win against the Falcons courtesy of Miller Lite, SEPTA announced Friday a partnership with NJM Insurance Group that will provide fans free rides home from NRG Station on the Broad Street Line for Sunday’s home game against the Colts. The free rides begin at 3 p.m. and end at 7 p.m., according to SEPTA, accommodating both early-evacuating Colts fans and late-staying Eagles revelers. It's important to note: This doesn't include any northbound trips, and it doesn't apply to pre-game transit. It's just for getting home from NRG Station. Still, not a bad deal. SEPTA says it will be providing extra game-day service this weekend as fans flock to see some guy named Carson Wentz. Ten extra “Sports Express” trains will supplement the normal local and express service. Those Sports Express trains will be running every 10 minutes from Fern Rock between 10:10 a.m. and 12:20 p.m.